The Virginia Sheriffs’ Association’s trademarks include the name “VIRGINIA SHERIFFS’ ASSOCIATION” and the Virginia Sheriffs’ Association’s logo. 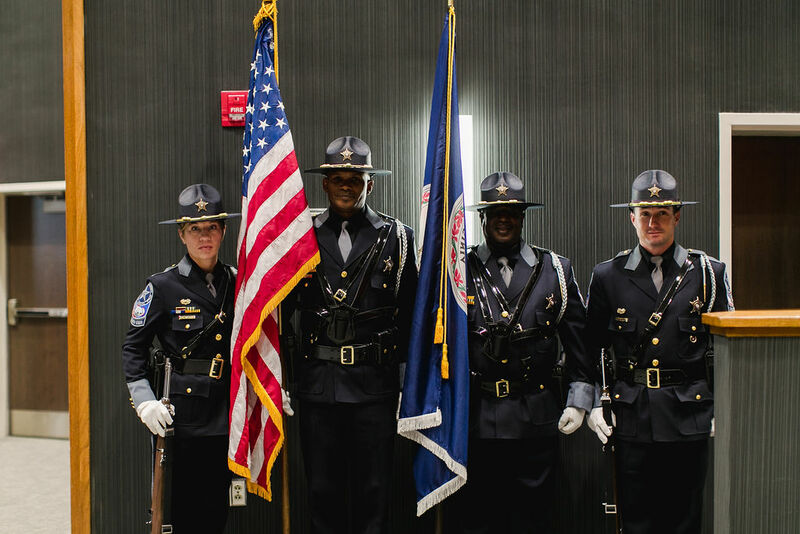 The Virginia Sheriffs’ Association Board of Directors is the only entity authorized to approve individuals and/or organizations to use the Virginia Sheriffs’ Association trademark(s). The Virginia Sheriffs’ Association Board of Directors shall conduct an annual review during the Board meeting at the Annual Conference of those individuals and/or organizations that have been granted permission to use the trademark(s). The review and approval shall include the stated purpose and use of the trademark. On behalf of the Board of Directors, the Executive Director of the Virginia Sheriffs’ Association is authorized to approve the use of the Virginia Sheriffs’ Association trademark(s), subject to approval at the annual Board of Directors meeting. All authorized approval shall not exceed fourteen months from the date of approval. The Board of Directors or Executive Director may rescind the use of the trademark(s) at any time. Such rescission shall be considered at the next meeting of the Board of Directors. Any approval or rescission shall be communicated to the affected party in writing.